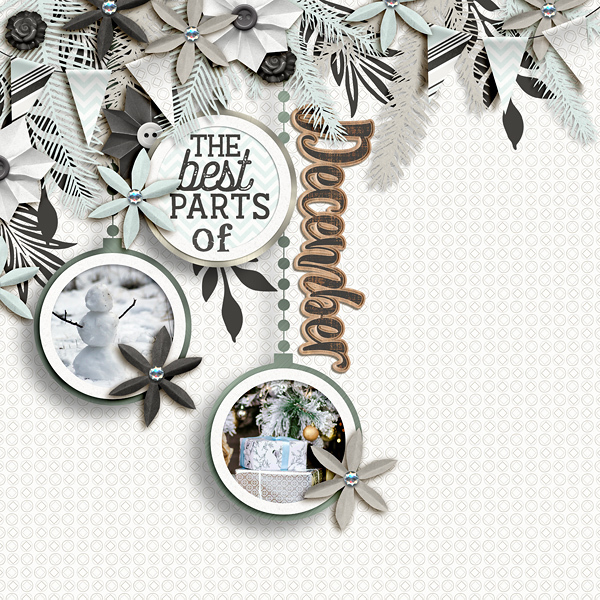 Here are two templates for digital scrapbooking. 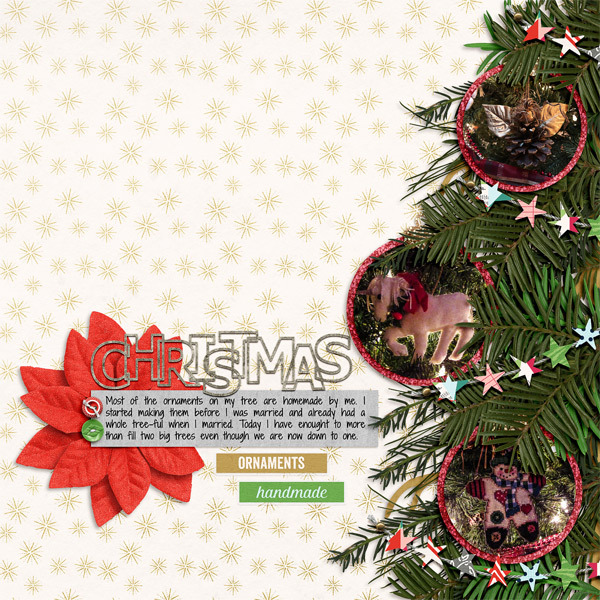 These are Christmas themed designs with circular photo spots dangling from pine boughs. You will also find a banner with fancy doily shapes.